Where should I begin learning with? Should I first go with Oud or any other instrument? I just want to know which will be the easiest to learn first and most helpful while most friend said that learning Darbuka will make rest of the instrument very easy to play is it really true? 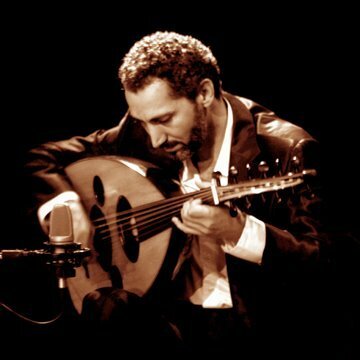 Re: Should I learn Oud first or other instruments? It is all according to wish because every instrument is different from other and you can’t really be comparing them, as it will not help you learn others much, but yes there are certain instruments which are connect but only few. So do whatever you like first and what does your instructor says? Each instrument is a fresh start, so definitely start with the one you feel most compelled to learn! I was wondering if it's similar to guitar? If I can play guitar could I easily switch to this instrument, or would it be difficult? What would the differences be like? It's so pretty. I'm sure my family would love it too. They all collect instruments and love to find new ones to learn. Despite the two instruments looking very similar, they're not alike as much as you think. Each have very different techniques and styles as well as different music categories. I personally found guitar to be much harder to learn because of the wider fingerboard. Theoretically though, I think the guitar is easier. Anyhow you shouldn't expect to be able to handle a guitar easily just because you mastered the Oud or vice versa. You should be willing to learn from scratch. It's quite tricky to learn how to play every arabic instrument, you should go with oud first because you are already familliar with it.